Flipboard have updated their popular magazine and social news app for Apple’s iOS devices, the latest version of the app comes with a range of new features. Some of the new features in the updated Flipboard app for the iPhone, iPad and iPod Touch, include the ability to share stories direct with your friends within the app. Do you ever find something on Flipboard that you want to pass along? Now it’s easy to share the stories you enjoy with other people within in the app—give the gift of awesome reading this season. – Share stories directly to your friends on Flipboard. Select the mail icon in the share menu and enter their name or email address. 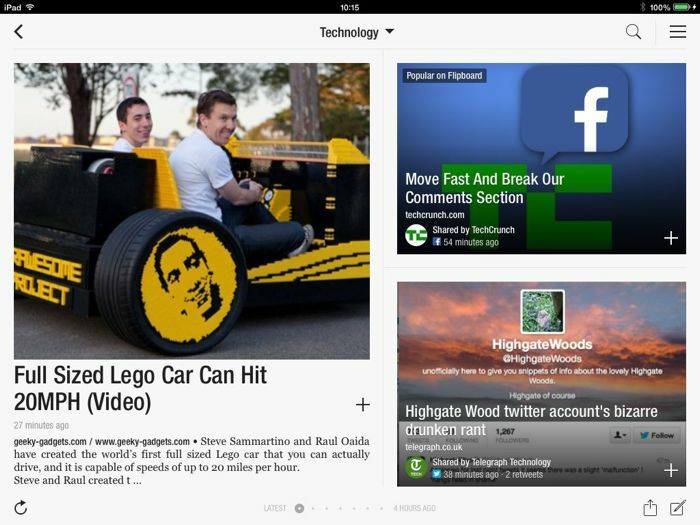 Your friends will be notified in Flipboard to see what you have shared with them. – Receive notifications when other people on Flipboard share stories with you. You can find more details about the latest version of Flipboard for iOS over at iTunes at the link below.